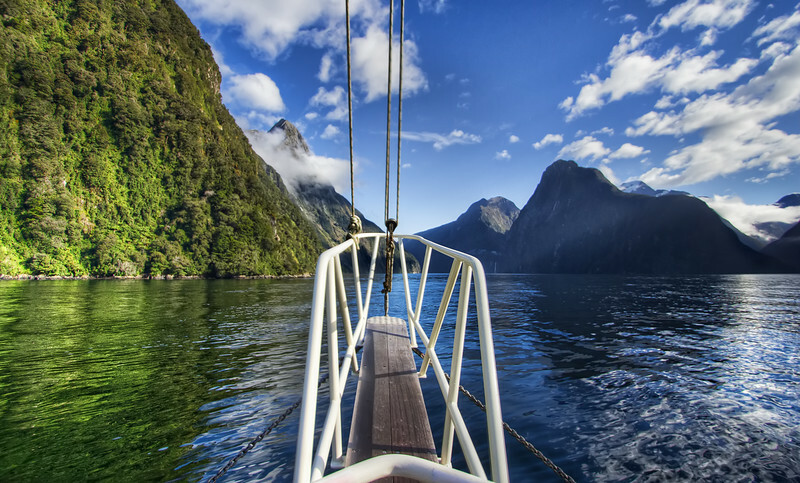 This is the view from our boat at the Milford Sound fjord in New Zealand. We had about 3 seasons in the 3 hours we were there, this was at the beginning of our trip when the weather was nice enough to provide us with some warmth and sun. There were some lovely reflections of the towering mountains in the water and the clouds created some interesting shadows across the epic landscape.